Web-90 | Square table, extendible. Ashwood or lacquered steel frame, melamine or tempered glass top. White or rope melamine leaf or in the same finish of the melamine top. 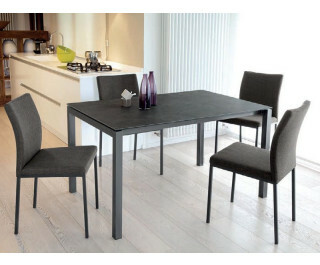 Web-120 | Rectangular table, extendible. Lacquered steel frame, melamine or tempered glass top. White or rope melamine leaf or in the same finish of the melamine top. Web-140 | Rectangular table, extendible. Ashwood or lacquered steel frame, melamine, tempered glass or ceramic top. White, rope or grey melamine leaves or in the same finish of the melamine top. Ceramic top with taupe melamine leaf.